The Waldorf School of Cape Cod (WSCC) is located in the quaint seaside village of Cotuit, Massachusetts on 13.5 acres of beautiful woodlands within walking distance of Cotuit harbor. We offer authentic accredited Waldorf education programs for children including our Parent and Child program, Preschool, Elementary School and Middle School. We also have an extended day program, a Cape Cod summer program, and community events for the whole family. Our curriculum nourishes the developing child and supports the child's growth through the important grade school years. Our aim is to provide an education that will produce well-rounded individuals who are able to think critically and creatively. To learn more, browse these pages or complete an inquiry form and information will be mailed to you. The Waldorf School of Cape Cod (WSCC) was founded in Woods Hole, MA in 1984 by a small group of dedicated parents who wanted something special for their children. Over thirty years ago, they organized and opened a small one-room private school in Woods Hole and through parent initiative and community commitment the school has grown to the fully-accredited established school it is today. Our faculty consists of a talented group of specially trained Waldorf teachers who are complemented by many specialty teachers. All Waldorf schools operate with a governance structure of shared leadership. WSCC is governed by a Board of Trustees and a College of Teachers, and is supported by an Administrative Team and a Waldorf Community Association (WCA). The Board of Trustees is responsible for financial, legal, and property matters. Decisions about teaching or pedagogy belong to the College of Teachers, the faculty leadership. The Administration Team oversees the daily operations of the school. The active W.C.A. is the interlinking body that supports school life, provides community activities, and helps to carry many volunteer tasks that are critical to our growth. The Waldorf School of Cape Cod values the increasingly rich diversity of our student body. We welcome families of every religious, racial, and economic background. We are committed to an affordable tuition and have a tuition assistance program to try to make Waldorf education accessible to all. The best way to get to know us is to visit us. We offer several events throughout the year that are open to the whole community. Every Waldorf® is independent but accredited. 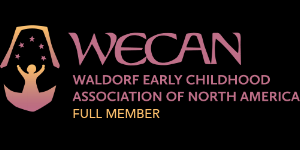 WSCC is fully accredited by the Association of Waldorf Schools North America (AWSNA), the Waldorf Early Childhood Association of North America (WECAN) and New England Association of Schools and Colleges (NEASC). Waldorf is a registered service mark of the Association of Waldorf Schools of North America (AWSNA) and used by agreement of membership in AWSNA. The Waldorf School of Cape Cod is a non-sectarian, 501(c)3 non-profit organization and does not discriminate on the basis of race, color, religion, gender, national or ethnic origin, sexual orientation, or handicap in its admissions, financial aid, hiring process and in all other programs.